Michael Jerome Bray “Smurf”, age 64, of Greater Cincinnati, Ohio. 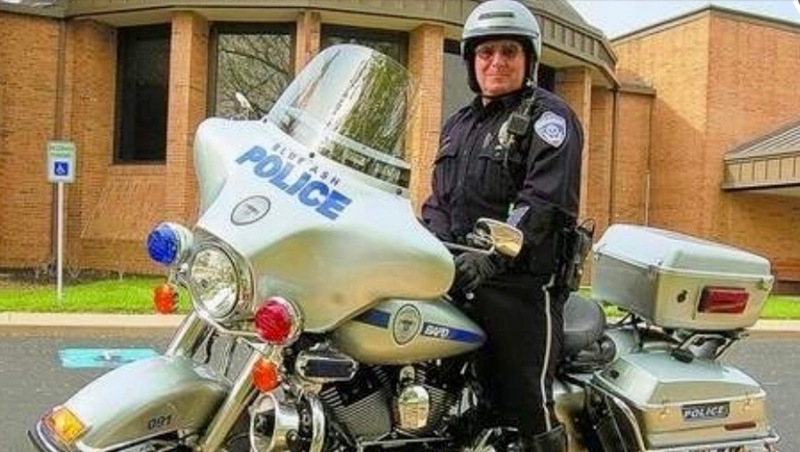 Retired City of Blue Ash, OH Police Officer. Michael went to be with his heavenly Father on September 4, 2018. Michael was the beloved husband of Kimberly. He is survived by his three wonderful children, Micah (Jessica), Aaron, and Tara (Max) and sister Donna (Keith) Griffin. Also survived by grandchildren Peyton, Eli, Ari, Lily, and Brolie. Michael loved living life. He is at heart a disciple, protector, teacher, and student, as well as a great husband, father, brother, and grandfather. Mike had a passion for teaching, especially to youth and sharing God’s message of love. Michael dedicated his life to serving the community, church, family, friends, and acquaintances. Mike is described as “the busiest retired guy”, 0 to 60, an “ALL” guy, not an all or nothing, everything is ALL. Michael did not think God was preparing him for home. Mike said “God has more work for me to do on earth.” We hope he has touched your life in some way. . In lieu of flowers, donations may be made to Heart of the Outdoor (His Pins), Hospice of Cincinnati, or toward funeral costs to Strawser Funeral Home. We invite you to share in this memory on Friday Sept. 7, 2018 at 5:00 pm with funeral following at 7:00 pm at Strawser Funeral Home 9503 Kenwood Rd Blue Ash, OH 45242 with Brother Earl McGuffey and Brother Aaron Faucett presiding. Private burial will take place at later date in Casey County, KY. Local arrangements entrusted to McKinney-Brown Funeral Home.